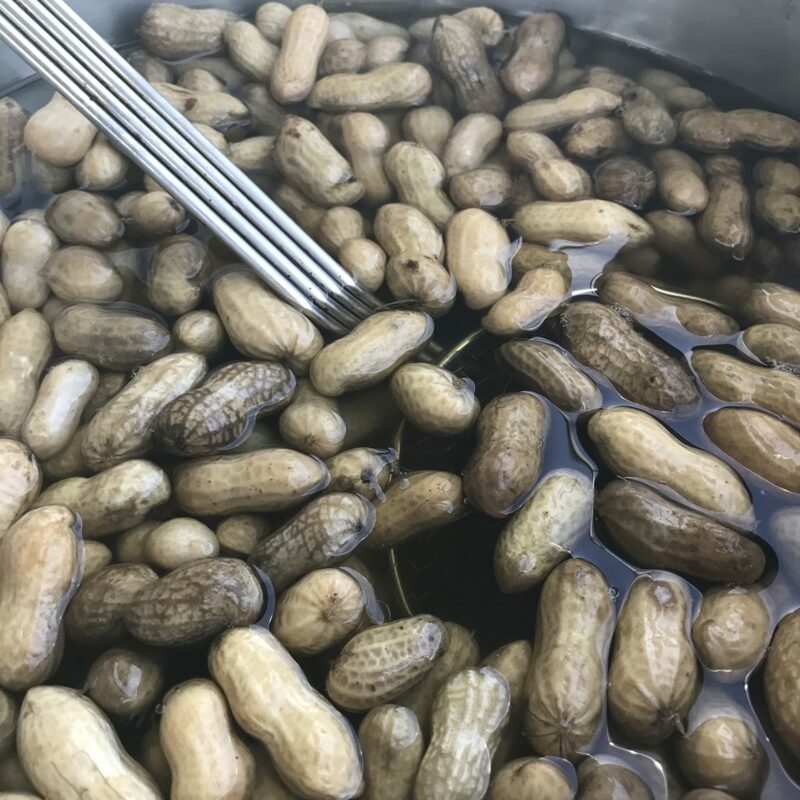 Boiled Peanuts are an NC specialty. 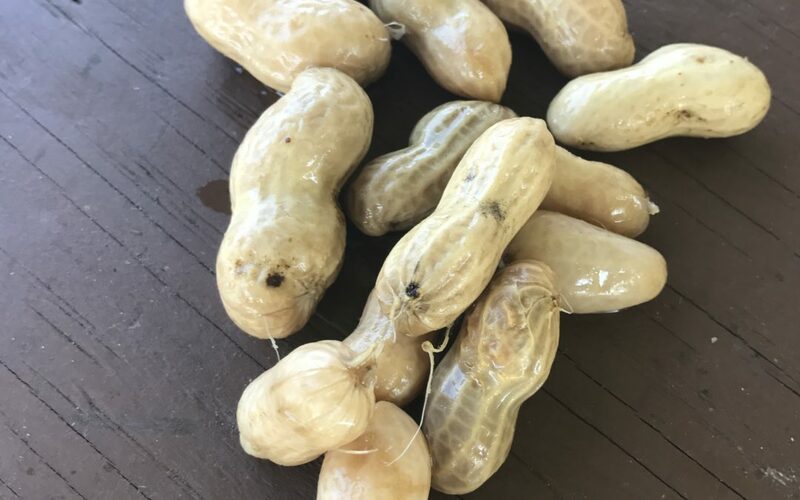 Unless you are from eastern North Carolina then you most likely have never heard of boiled peanuts. They are a well-kept secret. It is a very seasonal and local specialty. You know it is that time of year when stands pop up all over the backroads of eastern North Carolina. The peanuts are sold out of pickup trucks. Some are well-oiled operations with tents and boilers while others are just a pickup truck with plastic bags of the warm peanuts. There are no worries about them getting cold since they are sold out quickly. People just know. And they just crave them regardless of age, gender, race, or economic status. It is a comfort food. Now, most folks from eastern North Carolina are skeptical about anyone not from there liking it. They will raise an eyebrow at you if you are lacking the correct accent. That said, they will gladly share and talk to you about boiled peanuts. Though they are pretty sure you are not going to like it. It is nice to prove them wrong. 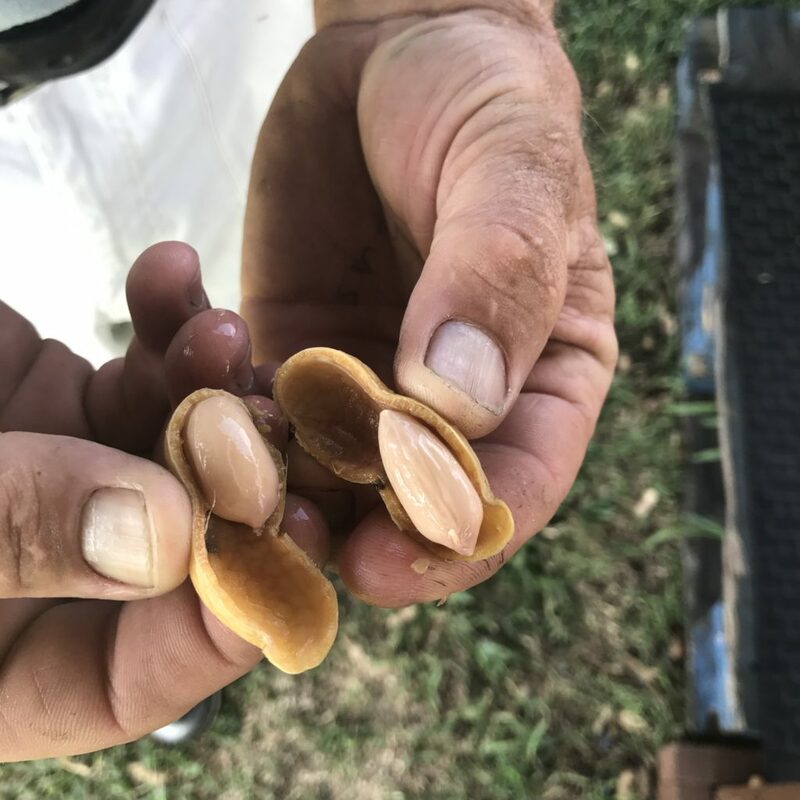 All boiled peanuts are not created equal. Having lived in Tarboro, North Carolina, I have only eaten what I would call eastern-style. All the locals will firmly tell you that if it is from anywhere else it is just plain wrong and that those folks are not doing it correctly. Tarboro is in Edgecombe County just off I-95. It is a rural community where peanuts, cotton, and tobacco are the main cash crops. In fact, much of the peanuts you eat at baseball games come from eastern North Carolina and southern Virgina. Not to embarrass anyone so I will just get it out of the way. Peanuts come from the ground like potatoes and other root vegetables. They are not from bushes. Honestly, unless I lived in Tarboro, I never would have known where peanuts came from. And yes I am educated and have traveled the world. Just never crossed my mind. Everyone has their own way of preparing them like most comfort foods. They are simple to make: green peanuts in the shell, water, and salt. That is it. The secret is the ratio of water to salt. And that takes practice. There are two ways of enjoying the peanuts. You just put one in your mouth then crack the shell and sucking out the peanut and juice. Or my preferred way, crack the peanut out with your nails. Eat it like you would an oyster with the slurping and all. You have to have the salty juices. I was unable to keep myself neat with salted peanut juices running down my arm… and ok my chin. 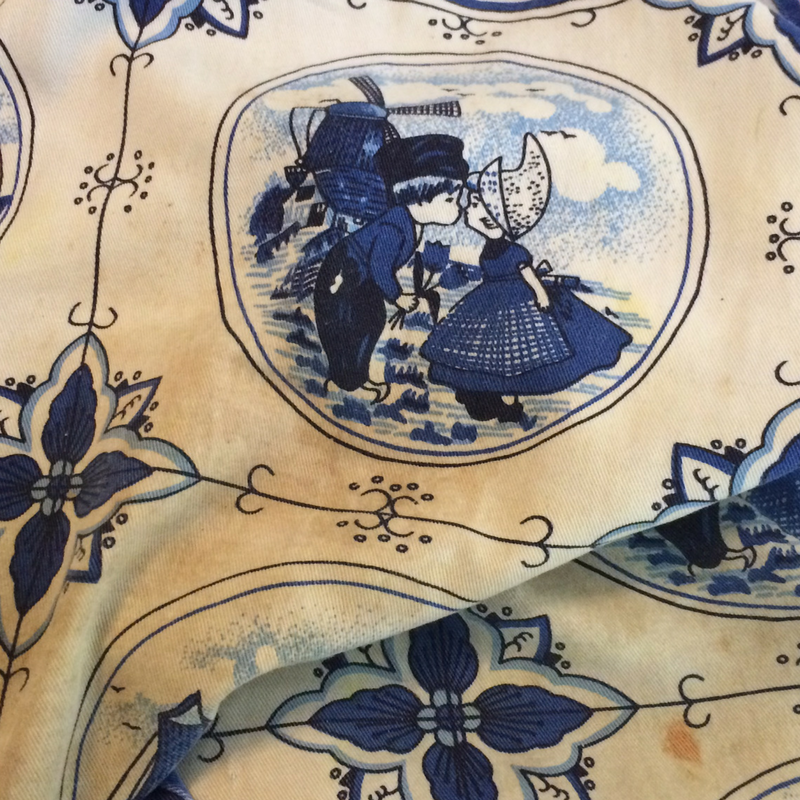 It was not a dignified affair. After a bunch my fingers became wrinkly. Well worth it. Best not to eat in public until you have the form down or like me you will look a sight. I am not going to fib to you, but it is an acquired taste and I rather like it. It only took me seven years of living in Tarboro in Edgecombe County to try them. I was always too late and would miss the small window they are available. It is worth giving it a taste. So if you are traveling the backroads of eastern North Carolina then stop and buy a bag for some local flavor. It is worth giving it a taste. So if you are traveling the backroads of eastern North Carolina then stop and buy a bag for some local flavor.